The key to understanding wine is to familiarize your self with vinifera varieties (Cabernet Sauvignon, Pinot Noir, Chardonnay, etc.) and how each variety has certain unique characteristics in color, aroma and taste. Some wines are produced using only one grape variety and this style is referred to as a varietal or single varietal wine, if two or more varieties are used, like Bordeaux wines, the wine is referred to as a blend. 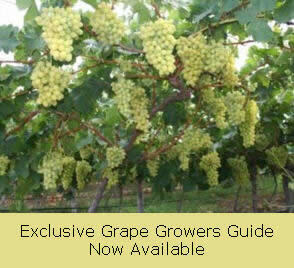 Wine grapes or varieties are categorized into two groups, white grapes, which are used for making white wine and black grapes, which are used mainly for reds due to their higher tannin content and color pigmentation. What distinguishes one variety from another is color, skin thickness, tannin, sugar to water ratio, acidity, and grape performance (yield, late budding, etc.). The following are some of the most popular grape varieties and their associated aromas and tastes. Charred oak, apple, lime, grapefruit, clove, pear, apple cider, toast, butter, butterscotch, charred oak, yeasty, smoky, hazelnut, apricot, peach, vanillin, anise, toasted almonds. Honey, flowers, orange blossom, damp straw, apples, peach, pineapple, guava, chalk, lemon, vanilla, cream, chamomile, melon. Grapefruit, lemon, lime, melon, apple hay, grass, dill weed, spearmint/peppermint, apple, radish, celery, green olives, green beans, asparagus, bell pepper, gun metal powder, black pepper, wet wool, fig, melon, peach. Apricot, peach, nectarine, green apple, ginger, honeysuckle, geranium, rose, cinnamon, ginger, grapefruit, lemon, licorice, asphalt, smoke, cream, earth, flint, slate. Peach, apricot, pear, apple, lichee, curry, allspice, cloves, fernlike, pine pitch, kerosene, grassy, orange, lime, pineapple, tangerine, honey. Black current (cassis), oak, fruit, vegetal, tannic, chalk, cassis, raspberry, peppermint, cherries, violets, plums, prunes, black currents, cranberry, green olives, mint, chocolate. Herbaceous, violet, black pepper, wild cherry, cedar wood, cigar box, roses, pipe tobacco, fruity overtones. Ripe cherry, caramelized sugar, strawberries, pomegranates, peppermint, cinnamon, plum jam, roses, perfumed flowers, violets, leather, earthy. Brambly fruit, cherry, black pepper, spice, blackberry, strawberry.